Summer Break! - That's right. May has come to an end, the girls have been out of school for a couple of weeks and I do not have to be at work everyday (although I still have some tasks to finish up). We are enjoying sleeping in a bit and lots of play. For a loose schedule, I came up with some helpful alliteration - Breakfast and Bible Story, Lunch and Learning time, and Snack and Silent Reading. We have these tent poles in our day that so far are helping. I'm still figuring out how to not run our tiny dish washer 2-3 times a day (oh, dining hall, I miss you!) and how to not be overwhelmed by the shoes, toys, and papers strewn all over the house. Mystery Garden and Frozen Uno - Mystery Garden was handed down to us a year or two ago, but now we are really into it. It's actually a pretty level playing field - Piper is really good at it! Dassa brought Frozen Uno when she came to visit and Cadence is super into it. She even strategizes against you and will slap you with a Draw 4 card faster than I thought possible. 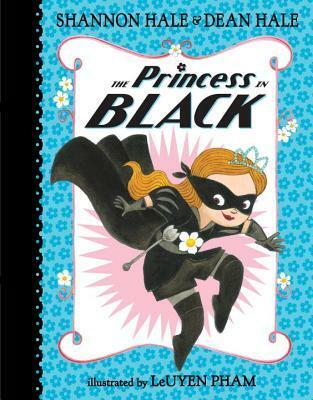 Princess in Black by Shannon and Dean Hale - I read about this fun, easy chapter book and knew it was perfect for Cadence. I've enjoyed Shannon Hale's books for older kids and adults and the idea of a princess who is also a superhero was very appealing. Sure enough, when she returned from camping with Nana and Dadder, she read the whole thing immediately. We've got the next two on hold at the library. Popples - Speaking of Netflix, apparently reboots of shows/toys from my childhood are popular, and Netflix has a series about Popples. Piper came home from the camping trip obsessed with my old Popples nightgown (I've had to stop her from wearing it on outings!) and Cadence remembered seeing the show on her recommended list, so now we're 4 episdoes in. It's zany fun about friendship. Crockpot sweet potatoes - This couldn't be easier, so you're welcome. No need to turn on the oven in the summer if a crockpot is handy. Wonderful "loves"! The alliteration schedule is excellent! We love you all --enjoy you summer! P.S. I had already told Piper that the Popples gown should not be worn outside --definitely a little thin for day wear:). These are all wonderful. So glad you guys are having a fun summer. Miss these two cutie pies!